Liverpool Town Hall is the home of The Lord Mayor of Liverpool, situated within Liverpool’s prestigious World Heritage Site. Built in 1749 and designed by John Wood, the Grade 1 listed Town Hall is recognised as one of the finest surviving town halls of the 18th Century – it is a masterful example of Georgian architecture. 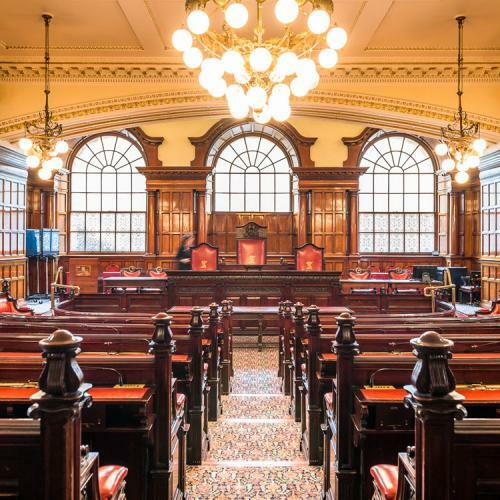 Fortunes were made by Liverpool shipping merchants relating to the slave trade, evident in the decorative frieze, but Liverpool and the Town Hall found greater prosperity as a port in the years following its abolition. 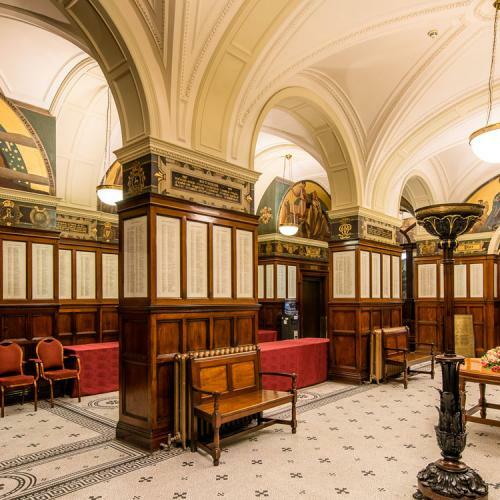 The interior vestibule is graced by a breath-taking Minton tile floor showing the arms of Liverpool, and the walls are decorated with murals created in 1909, showing scenes of the city’s history from King John creating Liverpool as a free port to Liverpool as a centre of culture, commerce, education and progress. 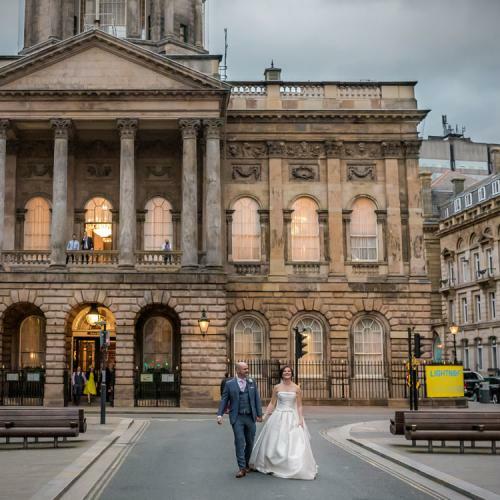 Liverpool Town Hall is not shy of character and characters…from Golden Pineapples, to a Goddess of Wisdom. Minerva, the Roman Goddess of Wisdom and Protector of Cities, has been the crown of the Hall since 1799 and has protected the Hall for centuries, surviving decades of pollution, as well as the Blitz. 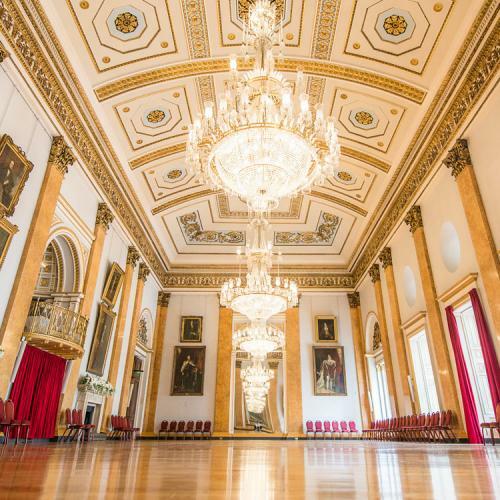 The Hall has hosted countless prestigious events, including numerous Freedom of the City ceremonies, Royal visits from home and abroad, an iconic homecoming for the Beatles on the front balcony and undoubtedly much more still to come. or discover more of our fascinating history with a guided tour.